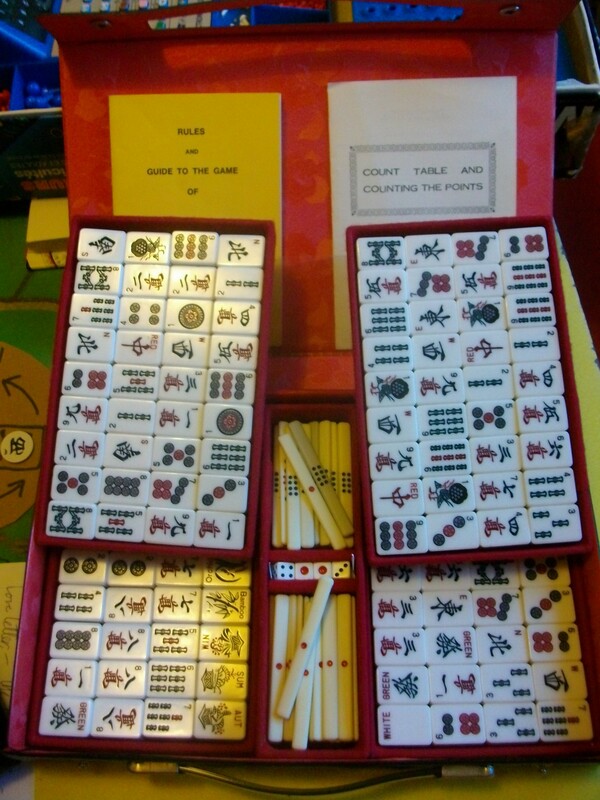 Mahjong is a rummy-like set collection played with tiles, for 4 players. 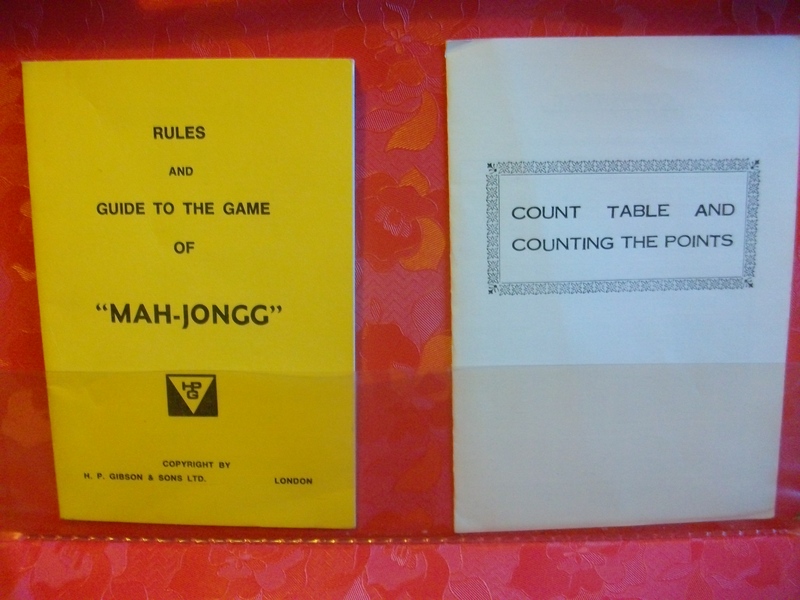 The aim of the game is to collect a certain combination of cards, upon which you will announce “Mahjong”. 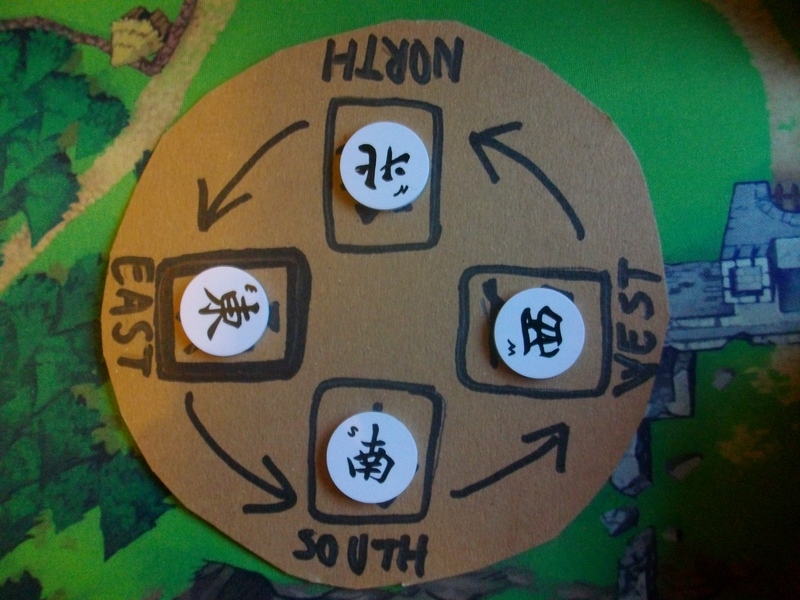 The game is fairly complex, with many variations, that all share a common base. Now Mahjong does have a problem, which is it’s barrier to entry. It has a really fiddly set of set-up rules, is played anti-clockwise (which messes with my head, but I like the challenge), and a myriad of rule sets and variations. However, by this point, I was really intrigued by the game, so I was happy to spend hours and hours reading up, thinking about and watching videos on the different variations. All these elements normally add up to a bad game, or at least a mediocre one. But for some bizarre reason, I really enjoy this one (I even once considered that I might prefer it to Go… but that heresy has somewhat abated). The game plays fast, the tiles are lovely, and it’s full of decisions and suspense. This game is a very social, lovely game, and I highly recommend it! PS: For those of you who are wondering what rule-set I currently prefer, it’s marginally Zung Jung, though I want to try them all. I’ve played Hong Kong, and watched loads on Richii… I might even try the American version! This entry was posted in Blog Posts and tagged Games on Saturday, the 25th of Apr, 2015 by Joe. 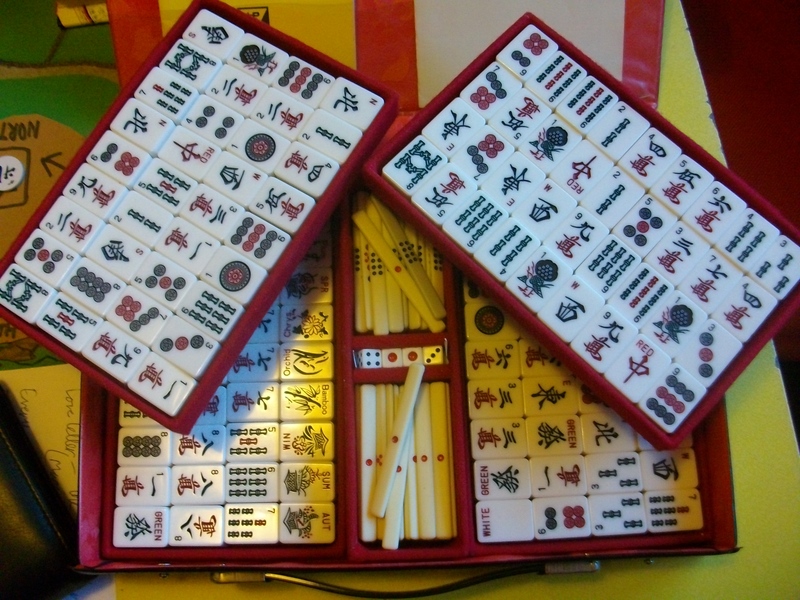 My eldest brother, Bobby, had a mahjong set. I think he got it on his travels during the war. On the other hand he was very fond of auction sales so he might have picked it up there. I remember he once came home with a whole lot of umbrellas. They lasted the family years. 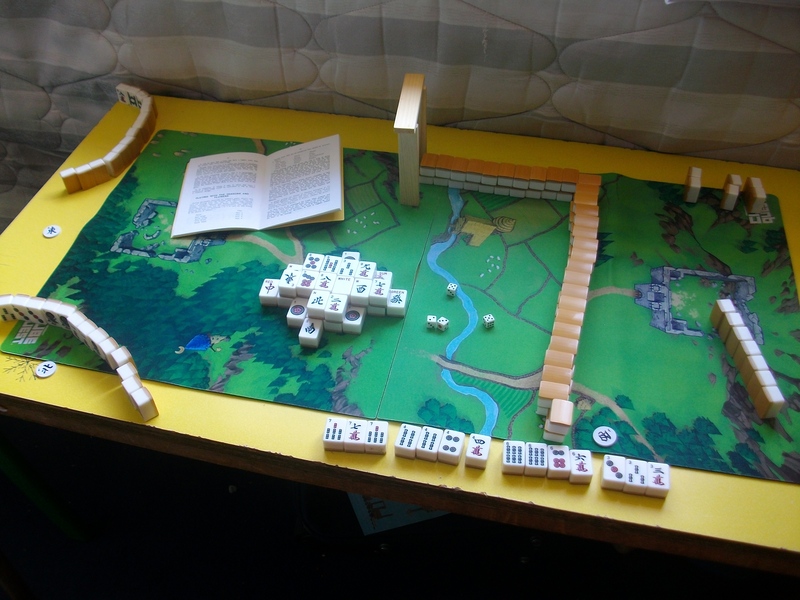 I never learnt to play it though but they were beautiful white tiles. It was before the days of plastic so they must have been made of bone – or possibly ivory. Bone? Wow… Did you ever see him (Bobby) playing it? Nah! He never played it. He was a collector of all sorts of objects. He liked collecting silver and he bought a lot of items at Hatton Garden in 1940 when dealers were getting rid of their stock because of the bombing.